A familiar Russian dish becomes a delicacy by adding salmon. In Russia's Far East the locals replace meats with salmon to make a native version of a common national dish. Russia's Far East has always been an exotic region with a unique climate, landscape, flora and fauna, as well as traditions, including cuisine. Basic fruits and vegetables that grow in most Russian home gardens must be shipped to this region because its harsh climate does not allow much to grow. Dairy products are also imported at high cost, and thus are rarely found in the local diet. Fish and sea food are the basic staples in the Far Eastern diet, and are not delicacies for special occasions as is the case in Russia's European and Siberian regions. Fish, for example, is often used instead of meat in cooking common Russian dishes such as cutlets, pilaf, cabbage rolls and pelmeni. While pelmeni are today often bought frozen in the store for long-term storage and quick cooking, if one has the time then this dish can be homemade. Feel free to improvise and experiment with the filling and spices. Using fish instead of mincemeat is a way to give a new twist to this familiar dish. Humpback salmon is used in our recipe, but it's not the only type of Far Eastern pelmeni. Some people use keta salmon, pike perch, halibut, cod and other types of fish. Also, if you don't want to fully deviate from the traditional recipe you can combine fish with mincemeat. Served with sour cream, fish pelmeni go down well with white dry wine. Bon appetite! 1. To make the dough pour a glass of water into a deep bowl and add 4 tablespoons of oil and a pinch of salt. Next, add flour and knead the dough. Keep in mind that it should be thick and stretch well. 2. To make the filling mince the fish fillet and an onion in a blender. Add the juice squeezed from ½ lemon, salt (about ½ teaspoon), pepper and starch, and then mix. 3. Roll out the dough, and cut it into squares. Place about a teaspoon of filling into the middle of each square. 4. 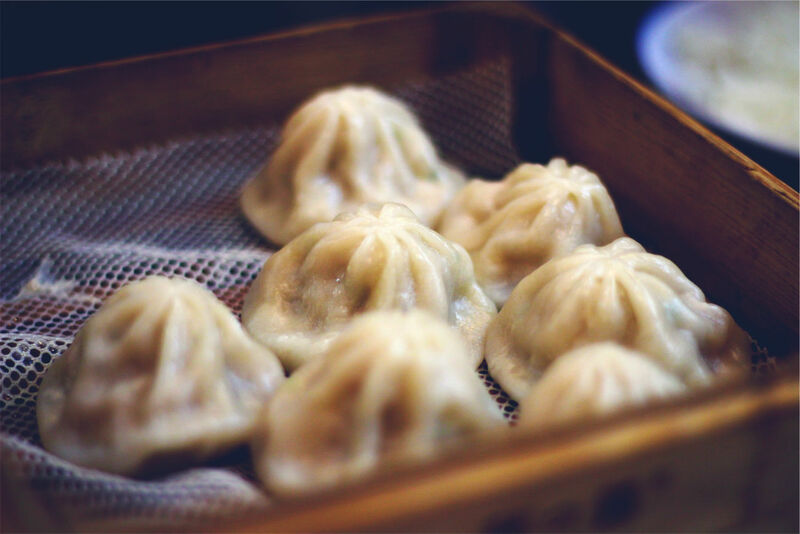 Form the dumplings by first folding a square cornerwise, then pinch the edges tightly to each other, roll up the central corner, and overlap it with the left and then right corners. Repeat the same with each of the squares. Note: If you are not going to eat the pelmeni right away and want to save them for later, then roll them in flour to avoid sticking and place them into a freezer. 5. Finally, boil 3 liters of water and add 1 teaspoon of salt. Next, add as many pelmeni as you want, and stir them, cooking them in an uncovered pot for approximately 10 minutes.